While the full studio release of “How Can It Be” just hit the stores this April, I have had the privilege of listen to a preview for quite some time now. My first impression was that Daigle sings with gusto. I believe the press release calls her voice “smoky and sweet.” It’s a perfect vocal combination when it comes to exhibiting a vibrant passion and that’s exactly what I love about Daigle’s music. I just want to turn it up and be lost in the enthusiasm of it all. And there is also a tender side to her vocals with the wispy “Power To Redeem,” a beautiful song about our mighty savior Jesus. Another powerful track is “Dry Bones” which is derived from the Old Testament profit Ezekiel (37). It’s a great reminder that we can trust in God to give us strength to pull through difficult circumstances. Closing the project are two more laid-back tracks “Salt & Light” and “Once and For All.” Both are very reflective songs that speak to you in a very personal way. Daigle is an excellent communicator between the power of her vocals and the sensible depth of her lyrics. 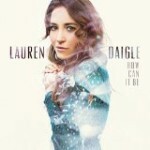 I know that Daigle has received a fair showing on radio so many have heard her singles, but I think you’ll want to dig deeper into who she is and what else she has to offer on the full release of “How Can It Be.” For more, check out her official website at http://laurendaigle.com/. 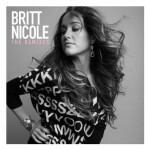 This young firecracker known as Britt Nicole has already had a big impact on radio and in sales and so why not celebrate with an all out dance party. I’m not typically a fan of “remix” and buy-again, but the new versions are a lot of fun and interesting enough that it’s worth the price of readmission. The new mixes give you a chance to hear the work of artist like Lecrae, Pro Fit, My Kid Brother, J Sapp, and more on remixes of hits like “Glow,” “Gold,” and “Ready or Not.” There’s actually two version of “Gold” that are distinctly different and enjoyable in their own way. Overall, It’s like taking a firecracker and transforming it into high explosives. The Annie Moses Band is an ensemble of siblings classically trained and educated in music, and deeply rooted in faith and family. Their parents selflessly invested in their children’s lives on a daily basis, setting the foundation for success in life and as a band. The name itself not only comes from the band leader, but it also has deeper roots as Annie was named after her great grandmother. The Wolaver parents were involved in CCM in the 80’s and late 90’s as songwriters, writing hits for the likes of Sandi Patti and others who were pioneers in the CCM movement of that time. Their songwriting work moved them to Nashville where they started their family. The children were all introduced to musical instruments at an early age. Annie herself started on stringed instruments at age 5. Later on as their children’s talents began to evolve, the family moved to New York where the youths could study in a pre-college program at Julliard. Aside from the high-quality training, their parents instilled hard work and togetherness into the fabric of their lives. The children had an “authentic friendship” as Annie described it. With lots of daily focused prayer and devotional time they were instilled with a character of “humility, honesty, and vulnerability.” They were raised with a Christian worldview that has helped them to grow and mature as a family and as artist individually, as well as helping them to navigate the music industry gracefully. As musicians, the Annie Moses Band has crossed genres and markets with seeming ease. When asked about the challenges of appealing to multiple markets (Christian and Secular), Annie stated, “We never wanted our faith to be an adjective in a sense of being involved in Christian music as a business.” Instead, their faith is an outgrowth of their lives and not an agenda of their music. Their skills cannot be doubted and so because of their talent, they’re able to share their music with a more broad audience. That talent has been recognized by PBS, where they experienced record breaking numbers of airings, song charting on three separate categories on the Billboard charts, and stage appearances at highly regarded stages like Carnegie Hall and the Grand Ole Opry. Hearing about their family life is an inspiration in itself in today’s society, where in general, those bonds and structures appear to be so broken down and discarded. The matriarch of the family, Robin Wolaver, has written a book about the journey titled “The Song of Anne Moses – A Musical Quest A Mother’s Gift.” The book can be purchased via their official website (listed below). From what I have read and know about the family, I believe the book would be an inspirational read for families who are looking to find a balance in the hastiness of society, in hopes of instilling valued family connections. Another part of their family rearing is the desire to give back as well. The family runs a Fine Arts Summer Academy where approximately 200 plus students gather each summer to work on their musical skills and improve upon other non-musical traits as well. 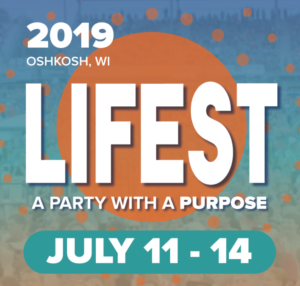 As Annie described, “music is so accessible and it speaks so well to others,” and “we want to help raise up a new generation of artist capable of being good communicators of God’s story.” Anyone from age 4 – 21 yrs. old can attend and registration is currently open at http://www.fineartssummeracademy.com/#fasa-home. The Annie Moses Band is in the midst of touring right now on the “American Rhapsody” tour. They will be performing a mix of their faith repertoire along with some traditional American Folk music as well. The tour is building up to their next release of the same traditional American Folk type of music which is hopefully releasing early fall of 2015. As Annie explained, the music dove tails from their grassroots following and how American music and church music have both been influenced by each other. From, Foster and Copland to Girshwin in bluegrass, it’s an exploration of sounds. It is sure to be an incredible collection of songs adding to an already phenomenal repertoire. For more on the Annie Moses Band check out their official website at http://www.anniemosesband.com/.